The workplace matters more than you think. A noisy open office or a lonely cubicle? Nowadays, neither. Let us guide you to a modern workplace. We know how workplaces work. As the nature of work changes, expensive offices remain half-empty, and obsolete space solutions gnaw away at work efficiency. A multi-functional office offers a better solution. What kind of employees you have? Do you have employees who need working environment with peace and quiet? What is the role of interaction between employees – should it be increased or developed? How can you support work which requires concentration or co-operation? We build intelligent space solutions that help our customers to succeed. Starting with the design phase, we make sustainable decisions for solutions that are as efficient and economical as possible. Our furniture and moving-in services make moving easy. We handle the alteration and furnishing of your new or current premises as well as the actual move. We will move your company into a new or expanded Technopolis premises. We carry out an inventory of the old furniture and procure new furniture as required, which is then delivered directly to your new premises. We can provide you with out-of-the-box workplace solutions ranging from interior design for single room to a whole office with hundreds of square meters. As work itself changes, new types of spaces are needed to meet people’s changing requirements. 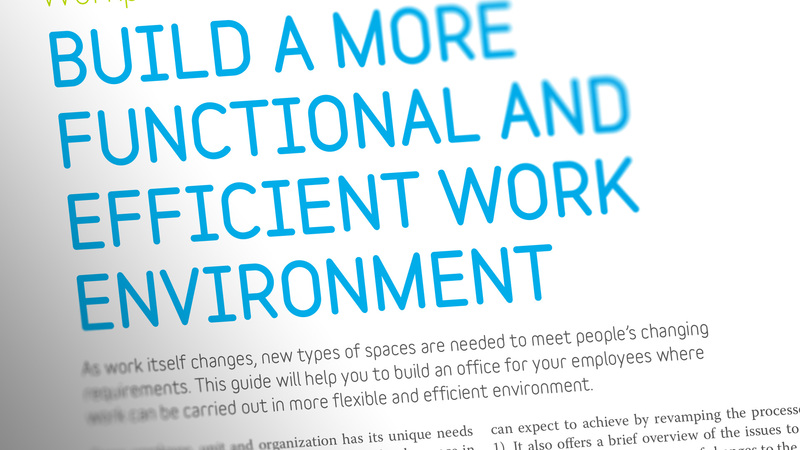 This guide will help you to build an office for your employees where work can be carried out in more flexible and efficient environment. Please tell us your email address and we will send you the download link right away. Our furniture and movíng-in services makes moving easy. We handle the alterations and furnishing of your new or current premises as well as the actual move. Our service will move your company into a new or expanded Technopolis premises. We carry out an inventory of the old furniture and procure new furniture as planned. The furniture supplier then delivers all the furniture directly to your new premises. For more information on our furnishing and moving services, please contact us here!